It isn’t exactly certain what the Turkish military saw on a foredeck deck of the Russian Navy’s landing ship, Caesar Kunikov, as it passed through the Bosphorus Strait last Sunday. What is certain is that the Turkish Foreign Ministry declared the Russians had launched “a pure provocation” at Turkey, and that the Turks would react with matching force. “The necessary answer will be given in situations deemed to be a threat,” announced Mevlüt Çavuşoğlu, who has been foreign minister for 12 days. Hurriyet, a Turkish newspaper, identified the source of its photograph as the Twitter account of “photographer Emre Dağdeviren”. The photograph has disappeared from that source, if it ever was there. 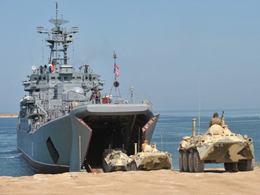 The Caesar Kunikov is a Project 775-type large landing ship of the Russian Navy, built in 1986. Assigned to the Black Sea fleet and homeported at Sevastopol, it is named after a Jewish naval infantry officer who was killed in action in the Arctic in 1943. The vessel has been recorded by the Turks as making several round-trips through the Straits this year. 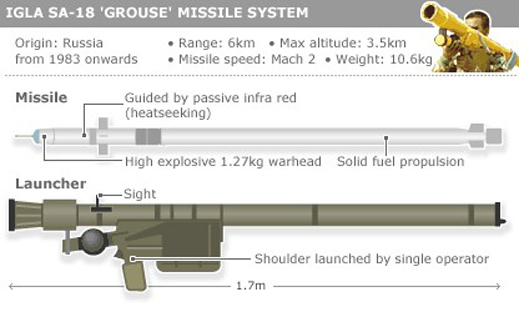 The Igla (Russian for “needle”) is manufactured by KB Mashynostroyeniya (KBM), and is designed to defend against aerial targets at ranges of up to 6 kilometres, and altitudes of up to 3,500 metres. It is standard issue for Russian troops. It is also used by regular armies worldwide. These include the Turks, who have been reported in London as having supplied the Igla rocket systems to rebel groups they manage in Syria for attacks against the Syrian government’s forces. Its infra-red homing system may also be adapted for targeting fast speedboats threatening larger warships. 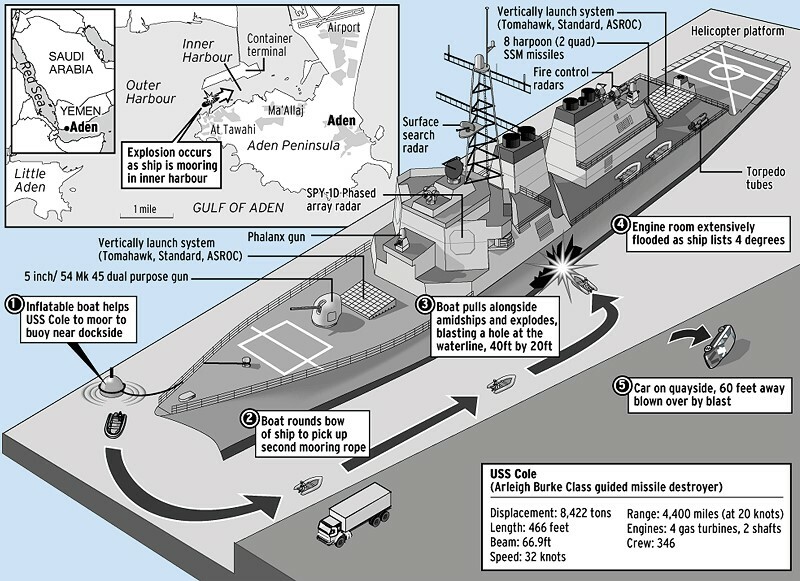 In the case of an explosives attack by a speedboat against the US Navy destroyer, USS Cole, in Aden port (Yemen) in October 2000, the destroyer’s rules of engagement did not allow on-board guards to fire on the approaching boat without first obtaining permission from a senior officer. Seventeen US sailors were killed in the attack. 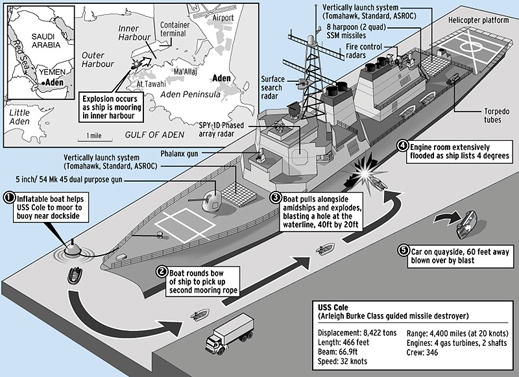 In subsequent assessments of the incident, the USS Cole’s commanders and their superiors were criticized for their lack of readiness to fire in self-defence. 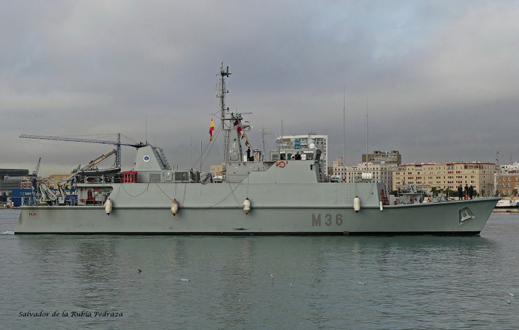 The Russian spokesman said the ministry has photographs of a Spanish Navy mine-hunter, the ESPS Tajo (below), making its way through the Bosphorus in July of this year with its crew at gun stations. “For some reason the picture of the armed heavy machine-gun sentry on the deck of a Spanish warship caused no questions from the Turkish side, and the media did not raise the issue”, Zakharova said. “The Russian ship [Caesar Kunikov] did not violate a single article of the Montreux Convention of 1936 governing the issues of navigation in the Straits, as well as the relevant provisions of the Turkish regulations”, she added. The Montreux Convention does not grant Turkey sovereignty over the straits. Instead, it says navigation and transit are a collective security subject “in the Straits of the Dardanelles, the Sea of Marmora and the Bosphorus comprised under the general term ‘Straits’ in such manner as to safeguard, within the framework of Turkish security and of the security, in the Black Sea, of the riparian States.” Russia was,still is, one of the riparian states of the Black Sea.